These charts were made from the weekly Economist / YouGov Poll -- the most recent being done between July 22nd and 24th. They all queried 1,500 adults nationwide, and had a margin of error of 2.8 to 3.2 points. They show that the public believes that Russia is not a friend (15% friend to 63% enemy). 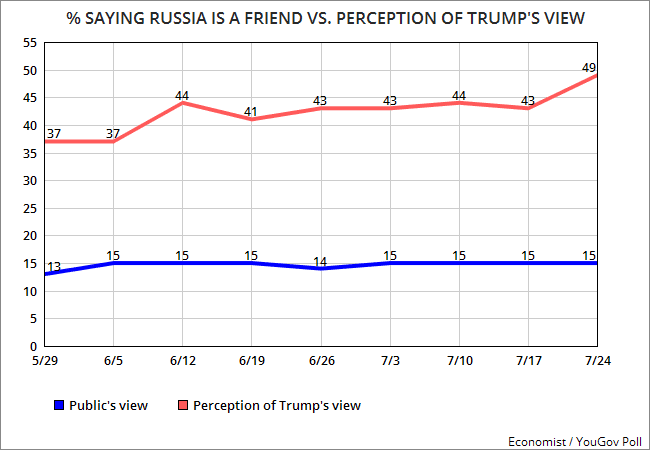 But they don't think Trump shares their view -- and in the last week, the perception that Trump considers Russia a friend has risen while the thought he considers them an enemy has dropped. 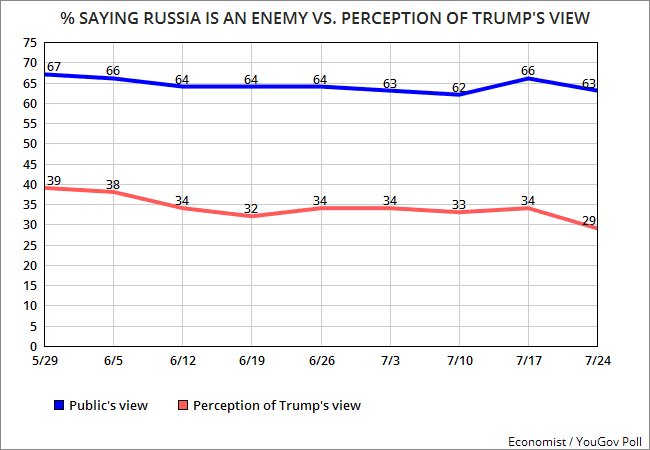 Almost half of Americans say Trump thinks Russia is a friend (49%), while only 29% thinks he realizes that Russia is our enemy. That's a 20 point gap.